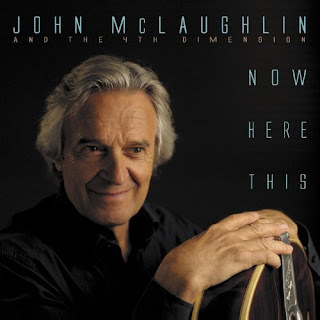 I have been put in the trick bag again, having the opportunity to review a new album from one of my boyhood guitar heroes, John McLaughlin. Fortunately he has put together yet another fantastic collection of music, so I am not in the bad place of having to be a harsh critic of his work. Now Here This by John McLaughlin and The 4th Dimension is fifty minutes of well-crafted songs that shows that he is still at the top of his game. John McLaughlin has been around the block a few times, and has guitar credits that few others can claim. He has jammed with Jimi Hendrix, worked with Carlos Santana and Miles Davis, been a sideman for the Rolling Stones, and in 2010 the guitar god Jeff Beck called him “the best guitarist alive.” I could go on for hours, but you probably get the picture. He is joined on this album by his band of the last five years, The 4th Dimension, which now includes Gary Husband on piano, Ranjit Barot on drums and the masterful Etienne M’Bappe on bass guitar. You will notice that nobody gets vocal credits because there are no vocals, which is not unusual for a John McLaughlin album. Now Here This is McLaughlin’s 24th album, if I counted them right, and he gets production credit as well as writing credit for all eight tracks. I am not too eager to classify this music, but if pressed I would call it post-bop jazz fusion (which is really a vague cop out, isn’t it?). But it would be more useful to think of it as four extremely talented guys getting together to make some complex sonic textures. A great example of this is “Trancefusion,” the first song on Now Here This. This is a seven minute thesis on how to properly play the tightest fusion on the planet. McLaughlin and M’Bappe double each other’s lines at a frenzied pace while Ranjit Barot crawls all over the drums, and this song comes off like a drum solo with melodies written over the top of it. Fortunately, McLaughlin knows that few listeners can handle a whole album of high energy jazz fusion, and things get funkier with the blues-based “Echoes from Then.” There is still plenty of complicated guitar work, but he never goes over the top and despite the speed at which he plays, he is still able to infuse feeling and musicality into the tune. But the real high point of this song is Etienne M’Bappe’s popping bass lines that go where few others have gone before. 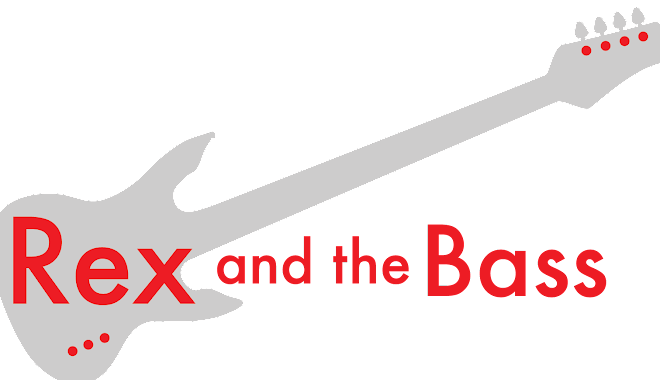 “Take It or Leave It” is the final song on the album, and at under four minutes it is also the shortest. This funky tune is like having a sweet dessert after a meal. It is also a reminder that this quartet has all of the talent in the world, but also shows that they are still able to work well together and play off each others’ strengths. Now Here This is a very well made album, and the production values and mixing are first rate. I would expect nothing less from John McLaughlin, who is has more experience than anyone in the business. Keep in mind that the content is jazzy, and if you are in the mood for some bare bones blues or rock, this fusion CD will not be your cup of tea. But if you are looking for a tight rhythm section, great improvisational keyboards and one of the best guitarists on the planet you will find the real deal here.